SAN FRANCISCO, Calif. /California Newswire/ — Wholesale Trading Co-Op Insurance Services, LLC (WTCI) announced today that Sean Shannon has joined the firm's property team as Vice President/Property Broker. 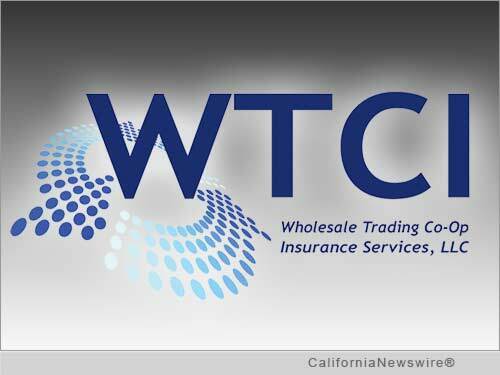 WTCI is an independently operated and managed wholesale brokerage firm that collaborates directly with its retail insurance broker members to develop comprehensive placement strategies to better serve clients. Shannon joins WTCI from Worldwide Facilities, Inc., where he specialized in the analysis and placement of complex property programs. Prior to his tenure at Worldwide, Shannon was a property broker at CRC/Crump. While supplementing WTCI's established property capabilities across the broad spectrum of risk exposures, Shannon also has extensive experience in DIC, Builder's Risk and Wind Buy-Back programs. John Jennings, WTCI's President and CEO commented, "Sean's property brokerage expertise enhances and supports our growth efforts in that sector, and underscores our commitment to the WTCI retail-focused, customer service model." The WTCI model increases transparency between retail brokers and specialty insurance markets, reduces frictional costs, and develops exclusive programs and binding authority facilities for its retail owner members. WTCI offices are located in San Francisco, New York, Atlanta and Princeton. For more information, visit: http://www.wholesaletradingins.com/ .